Many newcomers to photography feel confronted by a whole new confusing language. Here is your jargon busting solution! 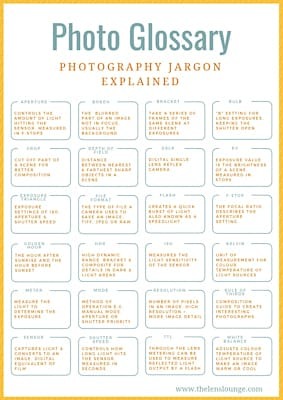 This glossary of photography terms will have you “speaking tog” (i.e. talking like a photographer) in no time. My advice is to download our free cheatsheet, which will be sent to you instantly. It is a brilliant (if I say so myself) “at a glance” overview of all the information in this post. Once you’ve got it come back and read all about the photography fundamentals and concepts listed in our glossary of photography terms. The ultimate cheat sheet of photography terms. Download and print for easy access. We'll also send you helpful tips every Monday. There is a lot of information here! It might help to work through it in stages, preferably with your camera next to you so that you can have a play with it after each section. I find that I remember things so much better when I put my learning into practice straight away. When you adjust the aperture you control the amount of light hitting the sensor. Aperture works the same way that your irises work. The wider open your iris, the more light will enter your eyes. The wider the aperture, the more light enters the lens and hits the sensor. 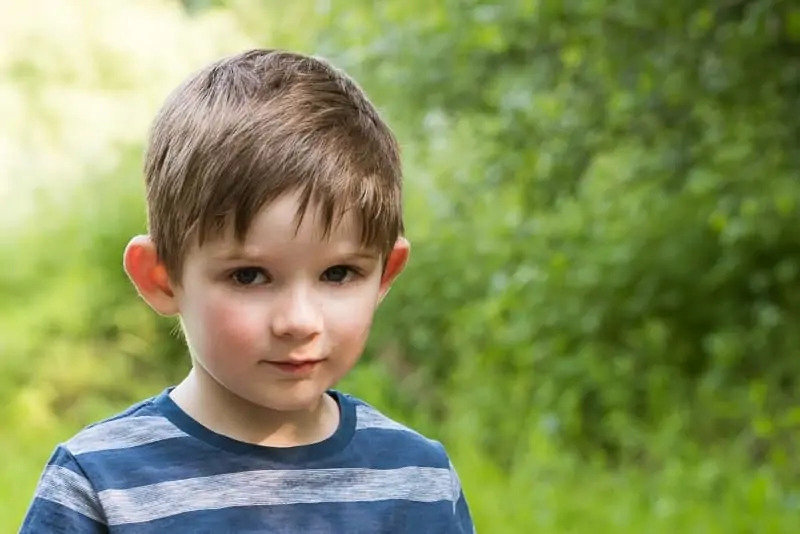 Aperture affects the depth of field in an image and is one of the ways to create those gorgeous, blurry backgrounds that everyone talks about. A narrow, or shallow, depth of field means that there is very little in front of your subject and behind your subject that will be sharp. A deep, or long, depth of field means that there is a larger area before your subject and behind your subject that will be sharp. You might have heard this referred to as “front to back sharpness”. It is why a deep depth of field is favoured by landscape photographers – they want lots of detail in the foreground, as well as the background of an image. Aperture is measured in f-stops, also called F numbers. This is where it can get confusing, because when we say wide aperture, we’re talking about a small F number, such as f2.8. When we talk about a narrow aperture, we’re talking about a large F number, such as f22. It can be hard to wrap your head around this concept when you’re first starting out. Think about aperture in terms of depth of field (DoF), because that is actually what you’re controlling when you set your f-stop, or F number. 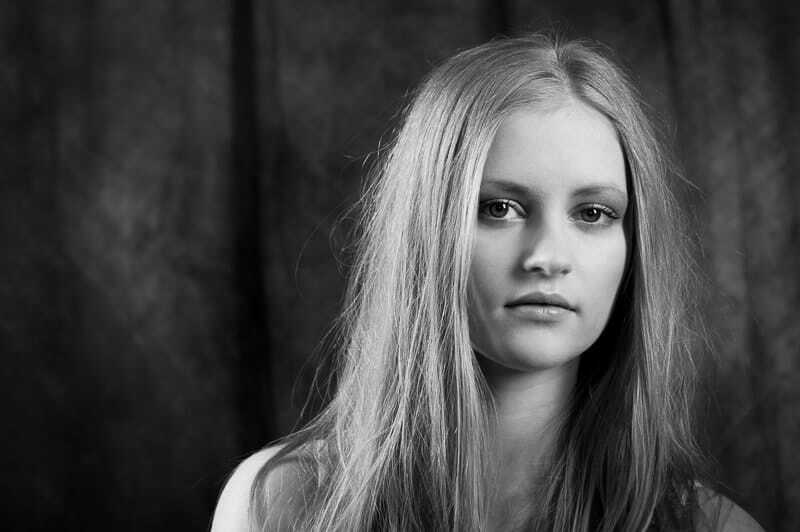 We’ve written a detailed tutorial on aperture – click here to read more. The term bokeh originates from the Japanese word “boke”, which means haze or fuzziness. It is pronounced “boh-keh”. Although, I’ve heard it pronounced a number of different ways and it seems to be one of those things where nobody can agree. Setting your aperture to a narrow depth of field, such as f2.8 or f4. Shooting with a very narrow depth of field is the most widely known method. The focal length of your lens will also affect bokeh. The longer the focal length, the more blur, or bokeh, you will have. Bokeh is also affected by the distances between you and your subject, and your subject and the background. The further away your subject is from the background, the more out of focus, or blurred, the background will be. Out of focus lights in the background create beautiful bokeh, as do leafy trees with the sun shining through from behind. When you bracket a photo you take a series of frames (usually 3) of the same scene at different camera settings. For exposure bracketing, one frame is taken at the exposure settings recommended by the camera, one is underexposed by, for example, -1 EV and one is overexposed by +1 EV. Before the days of digital cameras, and instantly seeing the results on the back of the camera, photographers used bracketing to ensure that their images were properly exposed. A popular use of exposure bracketing now is with the intention of creating an HDR image. The three images are composited on the computer so that both the shadows and the highlights are exposed correctly in the final image. If your DSLR camera has the ability, you can set it to do exposure bracketing automatically. Entry level DSLRs don’t always have this function. Exposure bracketing is the most common, however, and is generally what someone is referring to when they talk about bracketing. It is a good way to learn more about exposure as you can analyse each photo afterwards on the computer for comparison. You will also see how the camera’s metering system can be fooled sometimes. By doing this, you will learn how to deal with different conditions. Further reading: When, why and how to use exposure bracketing? The “B” setting is the bulb setting and is for long exposures of more than 30 seconds. Adjust your shutter speed (slower) until you see the “B” setting. While in Bulb Mode the shutter stays open until you tell it to close. However, you can’t just push down the shutter button, hold it and then release it when you’re ready. This will create camera shake, which will affect the sharpness of your image. You will need to trigger the shutter without touching it. These days we use a remote control or a cable release so that we don’t touch the camera during the exposure. The B stands for “bulb”, which may seem odd until you realise that originally for a long exposure the shutter was pneumatically triggered by a rubber air bulb. 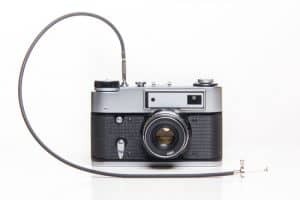 It was similar to a cable release, except you would squeeze the rubber bulb at the end of the cable for as long as you wanted to expose the image. When you stopped squeezing the rubber bulb, the shutter closed. Using the bulb setting is so much fun! There are a number of situations for using bulb mode, but here are a few to get you thinking: lightning, star trails, or the trails of car lights down a street at night. You can create a milky looking sea by keeping the shutter open for a long time while the waves move in and out. Cropping an image is another way of saying cutting off part of a scene for better composition. You can do this in post, but it is much better to do so at the time of taking the photo. It is a waste of pixels to crop an image afterwards. The tighter you crop an image in post (i.e. post production), the more quality you will lose. That’s fine if you don’t intend your image to be a big, beautiful wall print. When it comes to quality every pixel counts. So, when you’re about to take a photo, you must first decide what you want in shot. This is part of “getting it right in camera”, a phrase you’ll hear a lot. This is the distance between the nearest and farthest sharp objects in a scene. Get front to back sharpness with a deep depth of field (useful in landscapes). Use a narrow depth of field for a blurry background and foreground (useful in portraiture), with your subject nice and sharp. Depth of field (DOF) is affected by a number of factors. The most common one is to adjust the aperture (the f-stop, or F number). Focal length of the lens, the size of the camera sensor and the distances between photographer, subject and background also affect depth of field. So, if your subject is 2 metres from you and 6 metres from the background, the background will be more blurred than if they were 2 metres from the background. A digital single lens reflex camera is …drum roll… the digital version of a single lens reflex camera (i.e. the film version)! A DSLR uses a mirror mechanism to let light pass onto the image sensor to capture an image by moving the mirror out of the way. The mirror reflects light from the lens to the viewfinder so that you can see what you’re photographing. When you depress the shutter, the mirror swings up and allows light through, the shutter opens, light hits the sensor and the image is made. The shutter then closes and the reflex mirror moves back so that it again directs light into the viewfinder. If you take a photo at a slower shutter speed you’ll notice a moment where you can see nothing. This is because the reflex mirror has swung up to allow light through to the sensor, so the viewfinder becomes dark. The brightness of a scene is represented by the EV (Exposure Value) in a numeric scale measured in stops from 1 (really dark) to 18 (really bright). EV numbers, therefore, express the brightness of a scene in a scale that combines the shutter speed and aperture settings for a particular ISO setting into one number. Each EV number represents one stop of brightness. In other words, EV 4, for example, is one stop brighter than EV 3. Incidentally, we also talk about adjusting aperture and shutter speed by stops. 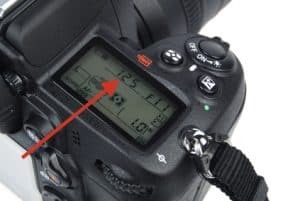 What this means is that the photographer must adjust the aperture, shutter speed and ISO settings to correctly expose the image for that particular scene’s EV. The EV is what it is – unchangeable. It is day or night, light or dark, sunny or overcast. So, to correctly expose a particular scene, let’s say you set an aperture of f5.6 and a shutter speed of 1/125. You could also achieve a correct exposure of the same scene if you set the aperture to f2.8 and the shutter speed to 1/500. Why? The aperture moved by two stops, from f5.6 (less light) to f2.8 (more light). So the shutter speed had to move by two stops in the opposite direction, from 1/125 (not so fast) to 1/500 (faster) to maintain the same correct Exposure Value. Less light/slower shutter speed vs more light/faster shutter speed. Although correctly exposed, the image will appear different, however. With the second settings you will have a smaller depth of field to blur the background and a faster shutter speed to freeze movement (depending on how fast the subject is moving). You could also have adjusted the ISO instead of the aperture or shutter speed. The exposure of an image is determined by the amount of light hitting the sensor to create an image. In other words, the exposure determines how light or dark an image will be. Exposure is set using three settings: aperture, shutter speed and ISO. This is known as the exposure triangle. You determine what is your priority and set your aperture, shutter speed and ISO accordingly. If depth of field is a priority, prioritise your aperture setting and adjust your shutter speed and ISO to correctly expose the image. When speed is a priority, either fast or slow, prioritise your shutter speed and adjust your aperture and ISO accordingly. To create noise in an image, raise your ISO and then adjust your aperture and shutter speed to accommodate this. For detailed information on the exposure triangle, read our tutuorial – The Exposure Triangle – why is it so important to know? File format is another way of saying the type of file a camera uses to save an image, such as: TIFF, JPEG or RAW. To retain as much detail as possible, you should shoot in RAW and then export your images, after editing in Lightroom or Photoshop, for printing or posting online as JPEG. The RAW file is the digital equivalent of a film negative. Without editing software (such as Lightroom, Photoshop or similar), you will not be able to open a RAW file on your computer. Before you set your camera to shoot in RAW, make sure you have appropriate editing software. A flash is a type of strobe light that creates a quick burst of light to help illuminate a scene. Most cameras come with a built in flash, but for better results use an external flash, also known as a speedlight. A flash can be fitted to the hotshoe of your camera, but for better results, you should master the techniques of off camera flash (OCF). This involves putting your flash/speedlight on a stand and positioning it anywhere that isn’t directly in front of your subject. So, position your light: off centre, to the side or even behind your subject. You can trigger the flash/speedlight using either your built in flash or with a wireless flash trigger (transmitter) fitted to the hotshoe of your camera. Once you’ve mastered one light, you can start adding in more lights. This is where controlling a scene becomes really interesting. The f-stop is the focal ratio of a camera lens and is the measurement we use when setting aperture. It affects the amount of light that is allowed into the lens, which impacts the depth of field in the photograph. The confusing explanation: A lens with a 100mm length set to an f-stop of f10 has an aperture diameter of 10mm. The same lens at 100mm length set to f20 will have a diameter of 5mm, half the diameter of f10. When you double the f-stop, you halve the size of the aperture – the bigger the number, the smaller the aperture. Our tutorial on aperture goes into detail on F-stops – The Exposure Triangle – what role does aperture play? The golden hour, sometimes called the magic hour, occurs an hour after sunrise and in the hour before sunset. The exact length of time varies and can be as long as two hours, depending on the season and where you are. The golden hour is the best time for photography outdoors. The colour temperature of the light is warmer and the sun is low in the sky and diffused. 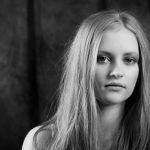 These factors are very flattering for portraiture and dramatic for landscape and cityscape photography. The warm glow of the scene is pleasing. Additionally, the diffused light produces less contrast (dark shadows), so you are less likely to have dark shadows and blown out highlights. Our tutorial on the golden hour is one of our most popular – Golden Hour – what is it and why is it so amazing? An image with a High Dynamic Range retains detail throughout the tonal range, from dark tones to mid tones to light tones. Use exposure bracketing when shooting and then composite the three images on the computer to achieve an HDR image with well exposed details in both dark and light areas. ISO stands for International Standards Organisation and is a remnant from the days of film cameras. We used to buy our film according to ISO, such as ISO 100 or ISO 200 or as with slide film ISO 50. ISO sets the light sensitivity of the sensor. The lower the ISO, the less sensitive the camera will be to light. It is like sunglasses for your camera. When it is bright outside your eyes are more sensitive to the light, so you put on sunglasses. When you adjust the ISO you’re adjusting the sensitivity of the sensor to capture the light. A higher ISO of 400 will capture more light than an ISO of 200. Although high ISO settings help when photographing in a dark environment, the higher the ISO, the more noise you will see in the image. Full frame cameras will perform better with a high ISOs than crop frame cameras. Find out more about ISO here – The Exposure Triangle – what role does ISO play? The unit of measurement for colour temperature of light sources is Kelvin (K). Our eyes automatically adjust to what we see around us. On a camera, however, we have to set the white balance to adjust the colour temperature of the image to what we’d expect to see. In photography, the temperature scale most often used ranges from 2000K (candle light) up to 9000K (dark shade). In between those two ends we have house lightbulbs at 3500K, daylight is 5500K, but an overcast day is about 6500K and in the shade it is roughly 7500K. You can play with Kelvin, and white balance, to achieve some interesting results. Further reading on setting color temperature: What is white balance and why does it matter? When we meter the light we are measuring the brightness of the light to determine the exposure, and therefore the correct combination of shutter speed, aperture and ISO to use. Centre-weighted metering – evaluates the light in the middle of the frame (60 – 80%) and its surroundings, ignoring the edges. Spot metering – evaluates the light around your focus point (2 – 4%), wherever that may be, and ignores everything else. Partial metering (Canon only) – evaluates the centre of the scene around the focus point (8 – 13%). Knowing which metering mode to use is key to ensuring accurately exposed photographs. 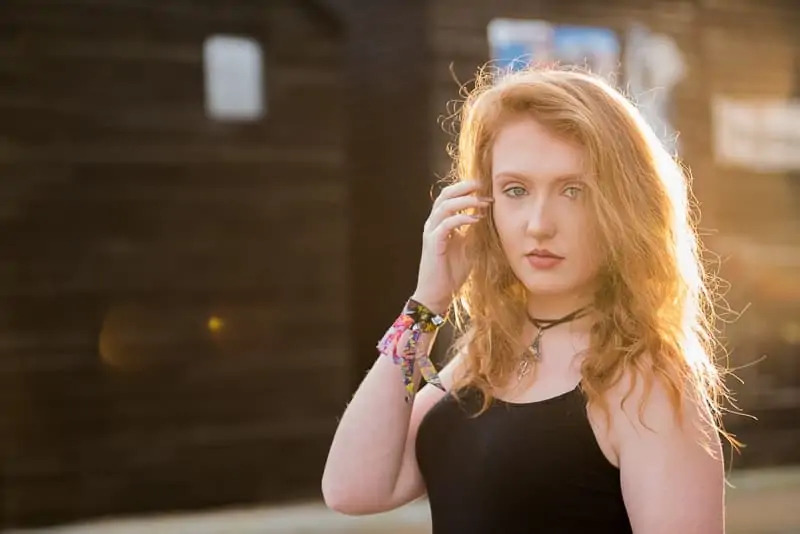 For example, in a backlit portrait, matrix metering would result in creating a silhouette of your subject, but spot metering on your subject would result in your subject being correctly exposed. When using matrix, or evaluative, metering you need to bear in mind that the camera wants to make everything an average grey. If you have a very bright scene, such as snow or a sandy beach, the camera will underexpose the scene, so you will need to adjust your exposure compensation by at least +1EV. Mode refers to the method of operation, such as manual mode, aperture priority mode or shutter priority mode. The goal is to become comfortable shooting in manual mode, because then your are in full control of your camera. 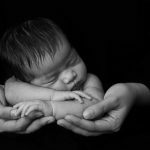 You will set the ISO, aperture and shutter speed according to your desired outcome. In aperture priority mode you set the aperture and the ISO and leave the camera to decide on shutter speed. Aperture priority mode is useful when photographing a fast changing scene and you don’t have the time to change the shutter speed as well as the aperture between frames. For example, when your children are playing outside in front of vegetation that you want to blur to cut out the distraction, select f4. The camera will adjust the shutter speed, but you need it to stay above 1/250 (to freeze the movement of busy, young children). So, make sure the ISO is set high enough to ensure the shutter speed stays above 1/250. In shutter priority mode you’ve decided that the most important thing to you is the shutter speed, so you set this and the ISO and let the camera decide on the aperture. Shutter priority mode is useful when photographing water at slow shutter speeds to create blur, or sports at high shutter speeds to freeze movement. The rule of thirds is a composition guide used to create interesting photos. Applying this easy composition technique will instantly improve your photographs. Imagine your frame is divided into nine equal sections by two vertical lines and two horizontal lines. The four points at which these lines intersect are critical for portraiture. Position your subject at any of these points to improve your composition, rather than putting your subject in the middle of the frame. 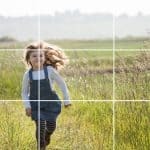 For a head and shoulders shot position one of the top two intersections over your subject’s eye and you will have a perfectly composed image using the rule of thirds. In landscape photography use the rule of thirds to position the horizon at either the top horizontal line or the bottom horizontal line. This refers to the number of pixels in an image. However, there are different types of resolutions. Camera resolution is measured in megapixels (i.e. millions of pixels). Image file resolution for printing is measured in dots per inch (dpi). Image file resolution on screen and monitor resolution is measured in pixels per inch (ppi) or pixel dimensions, such as 1024 x 768. When an image is referred to as high resolution it means that there is more image detail as a result of the greater number of pixels. High resolution images are used for printing (usually at 300 dpi) and low resolution images are for online use (usually at 72 ppi). 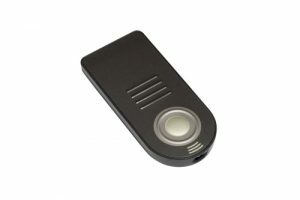 The sensor is the part of the camera that captures the light and converts it to an image. It is the digital equivalent of film. The size of the sensor affects the type of lenses that can be used on a camera, which is why you get DX (crop frame) and FX (full frame) lenses. Sensor size also affects depth of field. Entry level and mid level cameras usually have a crop frame sensor and higher end cameras are full frame. A crop frame sensor is smaller and crops out the edges of the frame. A full frame sensor has better image quality and performs better at high ISO. Controls how long light is allowed to hit the camera’s sensor. Shutter speed is measured in seconds and part thereof. A shutter speed setting of 1/250 is one two-hundred-and-fiftieth of a second. A second is represented by “. When you see 2”, it means that the shutter speed is set to two seconds. Shutter speed is used to either freeze or blur action. When photographing a young and active child, always shoot above 1/250. Young children tend to move a lot, so anything slower and the shutter will be open too long to freeze movement, resulting in blur. To create an image of a milky smooth sea, river or waterfall, your shutter speed should be open longer to allow the movement to be blurred, anything from 1/8 up to 10” or more. It is advisable to use a tripod, monopod or some other form of support when shooting at slower shutter speeds. This will vary from one photographer to another. I always use some means of support below 1/80 as I have weak wrists and camera shake will affect the sharpness of my images if handheld at anything slower than 1/60. Get all the info on shutter shutter speed in this tutorial – The Exposure Triangle – what role does shutter speed play? Through The Lens (TTL) metering is an automated system that can be used to measure reflected light output by a flash. With TTL metering one or more small flashes (preflashes) are emitted by the speedlight before the main flash used to light the scene. The light that returns Through The Lens is measured so that the correct amount of light can be emitted for the actual exposure. This process happens so quickly that you are not aware of the preflashes. When you adjust the white balance you’re adjusting the colour temperature of the light source so that the camera sees it the same way your eyes automatically see it. The colour temperature of light is measured in Kelvin. Set the white balance to make an image warm or cool. Further reading: What is white balance and why does it matter? This was a lot of information to absorb. Maybe a tongue-in-cheek blog on photography slang used by togs (slang for photographers) would be a good idea? Meanwhile, you’ll find our cheat sheet really helpful for jogging your memory so. Tell us where to send it and we’ll get our glossary of photography terms over to you straight away. There are still a number of photography terms that haven’t been covered in this guide, but you’ve got a good selection to get you started. We’ll write a further glossary of photography terms in the future. We love to know we’re helping demystify photography – let us know in the comments below. What did you learn from this post? Have you come across any photography terminology you would like explained? Has this introductory glossary of photography terms helped you? A very well written covering most of the aspects of photography for beginners. Thanks for the efforts. Sign up to receive your FREE Glossary of Photography Terms, and get on the list to start receiving regular tips for taking better photos.